Planning an event takes a lot of work. For each individual or company whose services you hire, you will need a contract to protect you from being overcharged or stuck without those services on the day of the event. 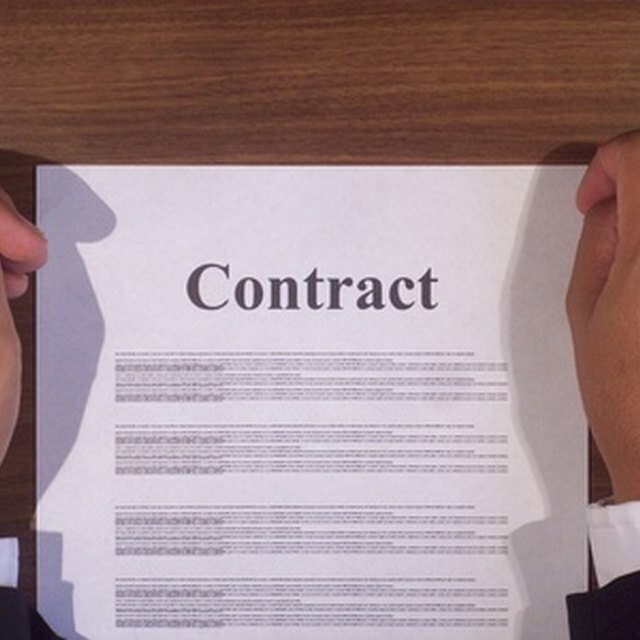 Use plain, concise language when writing an event contract so there is no room for misinterpretation from either party. Compile all of the information you need to include in the contract in one document for your reference. This includes the names and contact information of you and the company or individual, including address, phone number and email address, the date of the event, the time you are requiring the workers show up, and the time the event starts and is expected to end. Write a list of any relevant equipment you will be providing, and what you expect the contracted worker to bring. For example, if you are hiring a DJ, make it clear if you can supply speakers, but the DJ is responsible for the cables. Create a form with sections for contact information, the dates and times listed, as well as the expectations on your list. For an already formatted contract, Microsoft Office offers several free templates to choose from. Write a payment agreement by stating your name as the payer, the contracted worker's name (or company name) as the recipient, the hourly or overall wage and any extra fees that are either liable to be added or subtracted (Specifically state why this could happen, if applicable.). Include the method of payment (check, cash, PayPal) and when the payment will be issued. If payment will be issued on the day of the event, indicate whether that will be before or after the services are complete. Write a section specifically for refunds and cancellations, and explicitly state what your grounds are for not issuing payment. Include a time window to allow for cancellations. For example: "The company may cancel up to 48 hours before the event, or they will be assessed a fee." State what the fees will be, as well. Write a section for any other negotiable items specific to your event and how they may be resolved. For example, if the event is outdoors, include a "rainy day" plan or indicate whether you will cancel the event, how you will notify the contracted worker, and what (if any) compensation he might receive. Create a section with both your name and the contracted workers' full names, typed, with a line to date and sign. Copy the signed event contract for the worker, and keep an extra copy for your records.